Racial identity is an established part of the culture in the United States and many other countries, Unander says. Viewing others and ourselves as members of a certain race is a way of seeing the world. He claims that there were no races before 1400 A.D., because the cultural concept of race as we see it did not exist. He ties racial troubles in churches to the white European academics of the Enlightenment era, who assumed the superiority and inferiority of certain races, and incorporated these ideas into church and secular culture. Unander gives a brief history of early Christianity, Arab Islamic culture, medieval Europe, medieval Christians and the Spanish Conquista to lay a foundation for how race is viewed in our culture today. He also explains the effect that race has had on economics, and how slavery affected the concept of race. An important distinction is that not all slaves were black, giving slavery a broader racial and cultural base, and showing the complexity of our ideas of superiority and inferiority. Graduate training in genetics has given Unander a unique view of what race means. In his studies he has relied heavily upon the work of Gregor Mendel and his keys to heredity. This research led him to see that at a certain genetic level, race no longer exists. No race is genetically superior or inferior to any other, and we are not as different as we look to each other. God did not create people to be viewed according to race. He also discusses work done by Paul Broca regarding brain size and its link to genetic superiority. These studies showed that many variables, including head size and shape, invalidate brain size as a determinant for superiority. In fact, women's brains are generally smaller than men's without showing any lack of intelligence. By viewing race as a cultural concept, Unander hopes to open a way for people to see others as human and as children of God without the racial labels and stereotypes. He believes that, as in selective breeding of seeds, human traits are unique and can reappear no matter how harshly they are repressed. It is not our skin color that matters, but our expressions of kindness, generosity, patience, or their lack, that are true human traits. Unander explains that the Bible is not a scientific book. Science is limited to what it can measure. 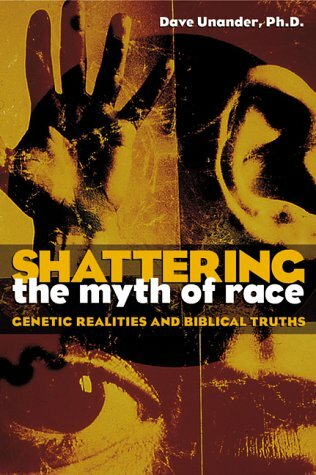 Throughout the book he explains many attempts to measure racial superiority and inferiority, none of which has proved the inherent superiority of any race. So he ends with a discussion of the question: "What does it mean to be human?" Personal identity, which he defines as an accurate and appropriate understanding of oneself, is a key in defining what it means to be human. He sees the biblical definition of race as different kinds of people living together in peace, drawing on each other's strengths. To be racist is to deny Christ. To be human is to live a life of reconciliation. Kriss Erickson has been a freelance writer for over 24 years and has written 150 stories, articles, devotionals, self-help articles and recipes. She is presently seeking to enter master’s programs of divinity and Christian counseling at Mars Hill Graduate School in Bothell, Washington.